the Breeze icons (at least the Templates and Draw Drawing icons) have low visibility in the Start Center because of low contrast with the green sidebar. This issue was discussed at wednesday's design meeting as part of bug 90387 and kendy will be checking with the marketing team whether the icons are branding or not. The icons were decided that they werent branding so icon themes can change them if they choose. > them if they choose. Not sure if we can say that the problem is fixed. Indeed there is a remaining problem linked to Breeze icons in the startcenter: if you choose the Sifr icons set, you get Breeze icons in the startcenter as fallback. If I am not wrong Sifr is the default icons set on OS-X. I strongly disagree with the Status change. The bug report is about the Breeze icons having a low visibility against the green background in the Start Center. > I am not wrong Sifr is the default icons set on OS-X. > > I am not wrong Sifr is the default icons set on OS-X. I do not think it is that bug. The problem concerns Sifr icons set, if you set Sifr you get Breeze in the StartCenter. No problem if I set Tango as icons set. At all: I find the title of this bug very clear and am attaching a screenshot. I love breeze but the way it integrates in the start center is contrast wise not acceptable. I'm not sure I can follow the discussion with Sifr / Breeze. No matter if I choose Sifr or Breeze I get the same icons in startcenter as shown in screenshot. Breeze indeed is fall back to Sifr. So both concerned and Sifr is default on OSX. But I think Breeze should be. But that's another discussion. I disagree with this being fixed. Why is it? I don't understand. But this discussion is totally depending on the 5.x branding. Depending on that choice this might be a big or a non issue. Yes that maybe a problem, but that is a sifr problem and not a breeze problem as tango and breeze fallback on galaxy and sifr falls back on breeze. This can be easily remedied by copying the tango start center icons into sifr. Sorry for the misunderstanding, as i didnt re-read the bug report thoroughly. 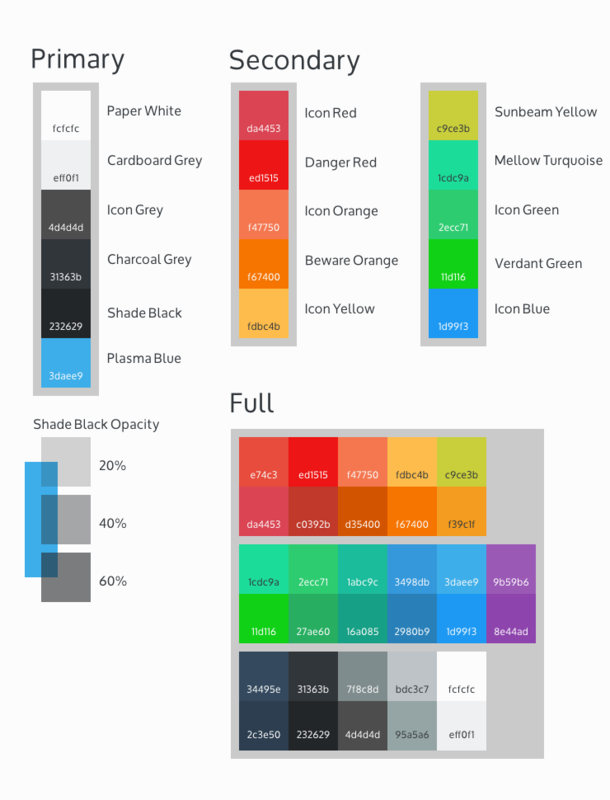 I will speak to the icon designer about this issue and see if anything can be done, as the breeze color palette is quite limited ( https://techbase.kde.org/images.techbase/8/8b/Breeze_Color_Palette.png ). I think the best solution would be to use the same gray found in the 'Open File' icon on all of the icons. This would also remedy the sifr problem as well. For 5.0? Seems to be too late for that. bug 90127 has been corrected by Kendy, the user selected icon set (or default Tango) will appear on Start Center. Issue of low contrast with Breeze incons over specific backgrounds is likely unfixable short of an arbitrary recoloring of the breeze icon set as Jay mentions. Some of us still prefer that the Start Center icon sets be fixed as a branding issue, but what is likely going to be necessary for that is a new UI control to specify icon set for Start Center separate from the rest of the UI. Otherwise the Icon set appearing on the Start Center is now (post tdf#90127) the user selected icon set from Tools -> Options -> View --until changes can be made to coloring of Breeze icons they will appear in low contrast over the <= 4.x builds. Sorry, it is not true if you choose Sifr icons set. See comment #6. > For 5.0? Seems to be too late for that. Yes it will likely be in 5.0. > Sorry, it is not true if you choose Sifr icons set. See comment #6. As sifr fallsback on breeze, it is true. See comment #9. If the new Branding is green than I'd prefer white icons (breeze dark icon color). But my wish would be to use the color of the menue bar (gray in this example) for the side bar background, than I can use the colored icons. > example) for the side bar background, than I can use the colored icons. I think this is missing the whole point of an icon. The icon is supposed to be a unique image that you can easily associate with the task you want to perform. If all icons use the same colour and they are similar then you need to read the icon label which makes the icons useless. Why is it not possible to use the beautiful icons created specifically for LibreOffice? If this is not possible then I think the theme should use the default icons for the Start Center. I voting is allowed - I vote for white icons. The icon is one thing, it's color variants are other. An icon can be adapted for different occasions, even logos as such have color variants, so sticking just to one color version and not adapting it to a specific/extreme UI situation (such as this vibrant green background is) misses the point of UI design. If its possible to get the nice icons like Pedro suggested ( e.g. https://kdeonlinux.files.wordpress.com/2015/03/libreoffice-writer.png ), that would be the best possible outcome. the icons are 48 px in size. thanks for the feedback. would work good. is the contrast ok for you? > the contrast ok for you? I like them, though the folder icons seem a bit large compared to other icons. If I may say so - the attached solution seems to colorful and uses too many different colours, also it does not step away from the background, some white halo effect or shine would make it better. I prefer the icons from the Breeze theme, but maybe with some white halo effect or border or white shade they might prove a better solution. Also the folders do look from outer space or some other icon set. This does not seem a reasonable solution. The current situation in 4.4 is still better. maybe we can talk about the sidebar color. which color is used in LO 5? Hi, here is the current version, very readable, clear, as one can see. am I crazy if I make the observation, that proper colors (dark background for documents and grey for left panel) would solve all start center icon issues and would give the startcenter a modern look? Yes i think if we swapped the green and white between the right and left sections (of course inverting the color of the text as well), that would be a good combination. Document thumbnails would be alot easier to see when they are not on a white background. Also in that case of inverting the two background colors the nice Breeze icons could probably be used. No idea why this bug blocks 87234. There is pending branding/design work being done for 5.0 that will reskin the StartCenter and Welcome/About panes. Until that is resolved there is no point in this proceeding. Comments 28 - 31 are somewhat onerous, and transcend the specific UI issue of the poor Breeze icon contrast on background of StartCenter button panel, or of the Sifr icon set fall-back to Breeze. As implemented, thumbnail document views on the start pane are rendered, or generic document type icons are shown, onto fixed 260 x 300 pixel panels that currently show blue when the object is selected. That same blue is defined in a gradient for selected button objects on the launch buttons. So it really is not just two colors but also text contrast that needs to be judged. Rather the whole default color scheme for the StartCenter and LO branding. While we wait for resolution to the design work, not much can be done with the Breeze icon set in 5.0, beyond possibly assigning a fixed color to just the breeze icons used on the StartCenter, as in comments 16 - 19. But then Pedro's comment 20 is equally germane. And which the Apple Pages startcenter of attachment 116326 [details] suffers from. Moving this back to UX advise, and enhancement since it seems to have drifted away from the visibility issue. I made some mockups with different colors. as higher the mockup number as better I think. long discussion after the design session. It is difficult. We would like to use the branding but green isn't that good for such large color areas. The problem is that there isn't a gray branding color so we deside to use dark gray for the main window and lighter gray in the sidebar as you can see in the mockup file StartCenterMockup27. Wouldn't Breeze icons look better in that? And this still does not solve the issue of two buttons at the bottom of sidebar, they are still from some other design (smaller font size, box around them, two in a row, ...). > use the branding but green isn't that good for such large color areas. > in the mockup file StartCenterMockup27. So the dark grey looks to be #2b2f33 and the light grey #eeeeee -- you could use the LO standard pallet "Gray 8" (#333333 - 3355443) and "Gray 1" (#eeeeee - 15658734) respectively. If anyone wants to see the colors as rendered--open Tools -> Options -> Advanced: ExpertConfiguration and search for StartCenterBacground -- current TDF Green is Dec 7514196 or Hex 72A854 -- Button labels are hard-coded white for now as is the canvas of the thumbnail view pane. > Wouldn't Breeze icons look better in that? > around them, two in a row, ...). > for now as is the canvas of the thumbnail view pane. It is a shame that the other settings are hard-coded. And it would be nice that the settings were applied on-the-fly (instead of having to exit LO and starting again). IMO the left panel looks too dark with Gray 8. I tested with Dec 6710886 (the background from https://wiki.documentfoundation.org/File:LibreOffice-Initial-Artwork-Colors_Guidelines_Valid2.png) and it looks good. Can someone share a link for the zip containing the icon theme with the large Breeze icons? > > Wouldn't Breeze icons look better in that? Well, just wanted to say I prefered those appearing by default in 5.0b1. > > around them, two in a row, ...). What I wanted to say is that the concept of having both hyperlinks with icons and boxed buttons (with smaller font size), one stacked vertically and one stacked horizontally in the same pane is not coherent and clean. Was there any mockup of having those two buttons transfered into hyperlinks, one in a row, just like the above app links? A divider, already used between the Create and folders section, could still be used at the bottom. But that is just my opinion, of course. I must also support the notion that the folder icons in this icon set seem bigger than the module icons. As far as readability is concerned, these app icons are really not readable well (unlike the ones appearing by default in LO50b1), the quite small and thin-lined white design inside them is hardly readable so users will not "read" from the icon what app they want, which actually makes the icons somewhat redundant in this scenario. It would be the same if not better if only colored dots or boxes or already used (semi-transparent) triangles (each of the current icon/app color) would be in front of the app links text (in fact that might even be a graphically clearer solution, there will be enough un-unified graphics shown in the document preview pane, so excess design in the left pane just makes it all too ). The Calc icon especially is a bit misguiding, I thought at first that a calculator is displayed (but it should represent a table, spreadsheet). Also the "Recent files" text should probably be rendered in white, not grey (to be on par with file names etc. ), if needed at all - currently I do not see this text in LO44 or LO50b1 and I do not see why it would be needed - if this pane also contained the Open file dialog upon clicking the "Open File" link, that would be reasonable. But the content of this pane does not change clicking any of the buttons on the left, so titles here are not explicitly needed. It just takes additional space. If already needed, this title should remain in space and only the thumbnails pane should be scrollable - but that would require fixing it into another-colored pane etc. And another thing - why is the Extensions button there at all? Why would someone be looking or trying to install an extension even before one single module is started? I never used it in this context and I do use several extensions, also regularly updating them. But it is just not something you open with LO, so an explanation why this link to a website is here would be in place; of course if clicking it would open an array of suggested extensions in the thumbnail preview pane that would make some sense, but this now is like a work in progress that just got forgotten in the middle. Attached the Application Icons for the start center in 48x48px. The icons are different than the "mimetype" like breeze icons which are now in the Start Center. I would prefere the app icons because you start the app and not an odt file. But when we choose the app icon the minimum size is 48x48px in the original size (32x32px) you can only choose the mimetype icons. > Attached the Application Icons for the start center in 48x48px. > in the original size (32x32px) you can only choose the mimetype icons. I would say finished. You to? Extension (icon isn't finished only placeholder) and Help buttons same style as other buttons. Recnet Files and Templates > element for show on right side. > I would say finished. You too? The Recent Files should be different from the Recent Files. But this is a problem that affects all Themes so it needs to be discussed by UX... Maybe for 5.1? breeze is fallback for sifr, so you will get the breeze icons ;-) until someone will make sifr icons. that's true we only discuss the colors the other points are for the future and should be discussed at another point. perhaps complemented for 5.0 with an accent color (other than current TDF Green used in 4.x)  for a reshuffled document corner motif, and flashed in the About panel? So happy that there will be an recent document icon to. I also don't like it that it was the same in the past. will make you a mockup. thanks for the information. All Start Center icons are 48x48 px because they doesn't work with 32x32 px. I also make the recent-documents icon from galaxy (thanks Adolfo). And I also make the extensions and help icon according to galaxy so it would be possible to change the design of the extension and help button to the standard layout. So how can change the colours as discussed that this bug report is fixed? I make it my own but if no one will do it I will search in the code for some night ;-( to fix the colours. thanks for writing the bug report and for the discussion. I’ve updated my brand refresh proposal  to take this bug into account. tdf#90452: Implement the new design of the startcenter. tdf#90452: Remove the frame around the Help and Extension buttons. tdf#90452: The correct color for the message when there's no recent file yet. tdf#90452: Templates should adhere to the recent docs colors too. Calling this Resolved > Fixed. Thanks Andreas for the mockup session and kendy for implementing the results! If I missed something please re-open and add your thoughts. Hey, a special thanks to Kendy! Meaning that users can adjust any of these properties from Expert Configuration to skin the StartCenter as desired. > Hey, a special thanks to Kendy! > Configuration to skin the StartCenter as desired. Maybe a small competition for best looking design combining those settings to one's own liking (for a LO T-shirt etc.) could be announced (and even incorporated into LO, if it looks better than the current combination).